Among the many items Ed has recently purchased, was a Weber Grill. This weekend we had our first barbecued item. 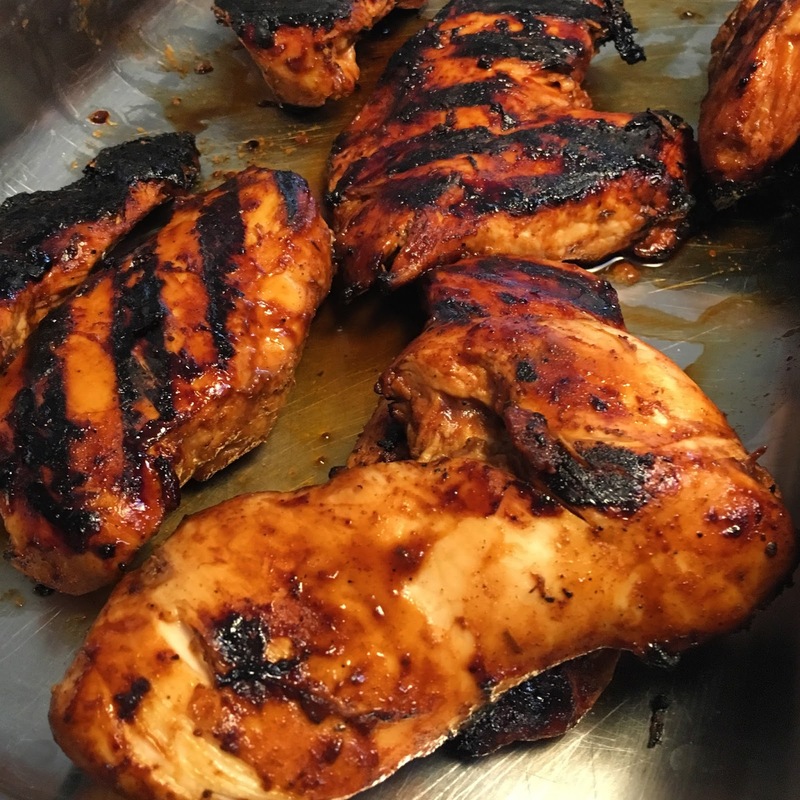 Chicken breasts with good 'ole classic BBQ sauce. He took to the grill like he'd been doing it all his life. The chicken was fantastic. Look at that juiciness! Look at those grill marks! Look at those crispy bits! I supplemented the star of our dinner plate with oven-roasted green beans and the sweetest corn on the cob I think I've ever had! I'm so looking forward to the summer grilling season! OHHHHHH! SO DELICIOUS! IT WOULD BE WELL WORTH THE TRIP FOR THOSE! DLG: C'mon over! The chicken was AWESOME! We had our friends over tonight and made chicken another way which was also delicious, and Ed made steaks for him and MacG. They were good, too!